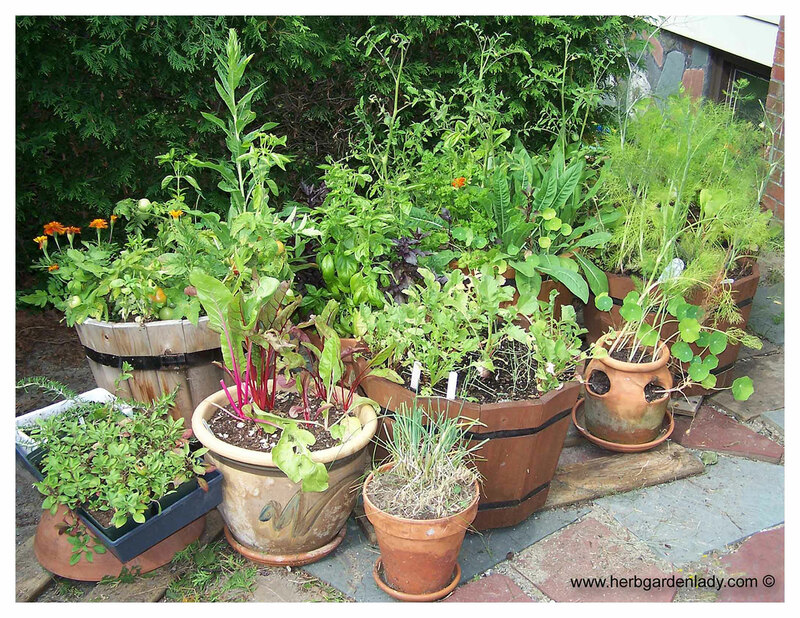 Planting a culinary herb garden is the best way to enjoy the freshest, tastiest herbs right from your own garden. This is a sample list of culinary herbs that you can plant for the best taste and tangy flavors. Culinary herbs also include edible plants and flowers used in salads, pastries, or drinks. 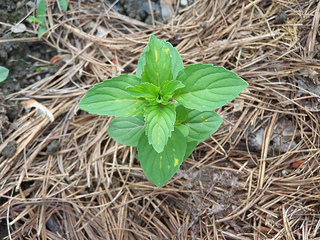 Basil – any genus of Ocimum basilicum will do. Like sweet basil, Genovese for pizza or purple basil ‘Dark Opal’ for a spicier flavor. 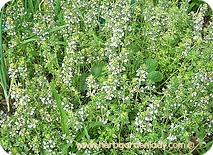 Chervil – Anthriscus cerefolium, This herb has a delicate parsley like flavor. 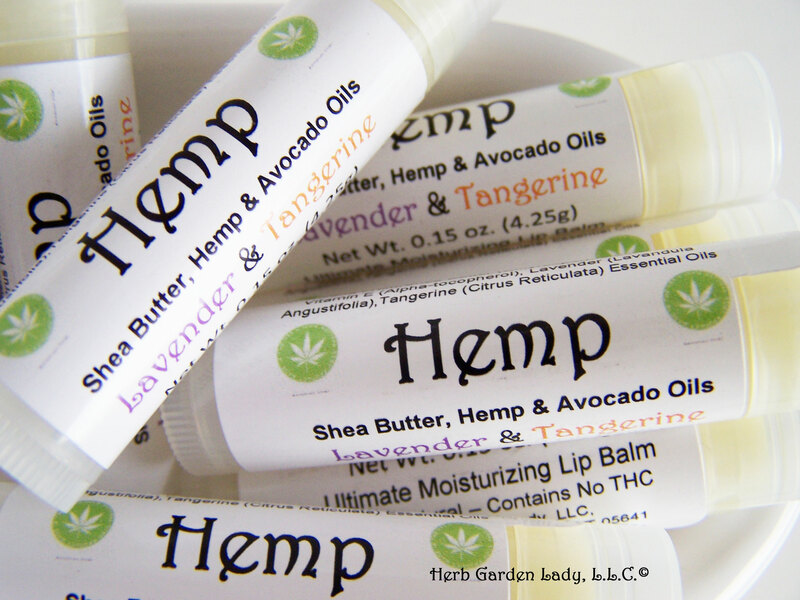 Add to soups, stews, salads and more to enhance other herb flavors. Chives – Allium schoenoprasum, You can eat the edible flowers or make vinegars and use the leaves for soups and stews. 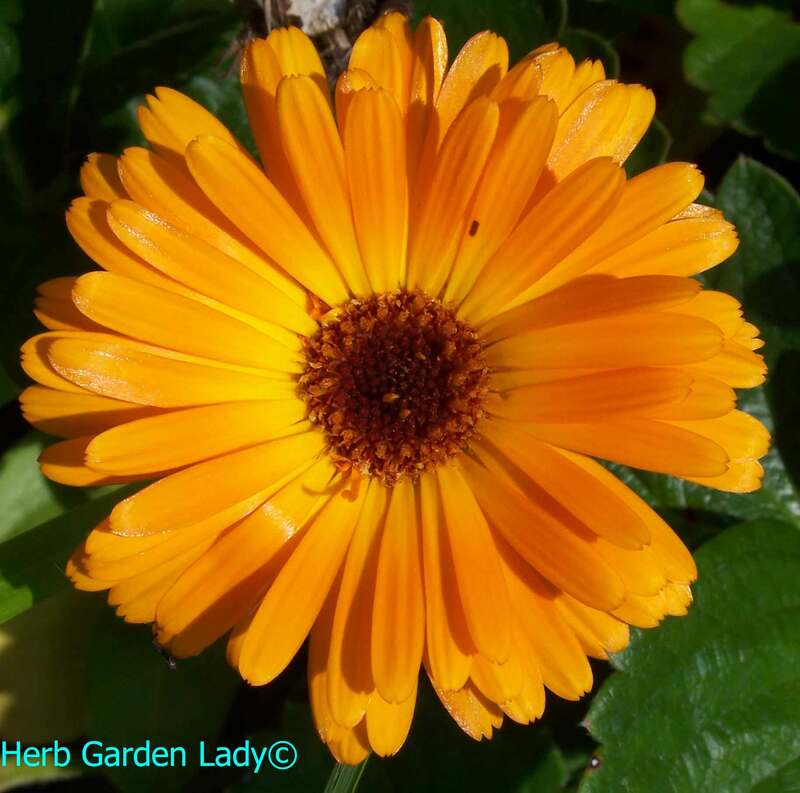 Calendula – Calendula officinalis, Add these pretty, bright yellow flowers for color to any salad or garnish. Coriander – Coriandrum sativum, A duel plant, it supplies not only its great tasting leaves, but its seeds are excellent for soups, or added to bean dishes to help with digestion to alleviate flatulence. 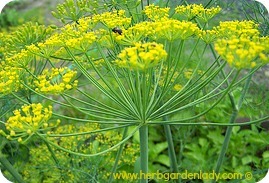 Dill – Anethum graveolens, Add this to any dish for flavor and zing. It aids in digestion too. 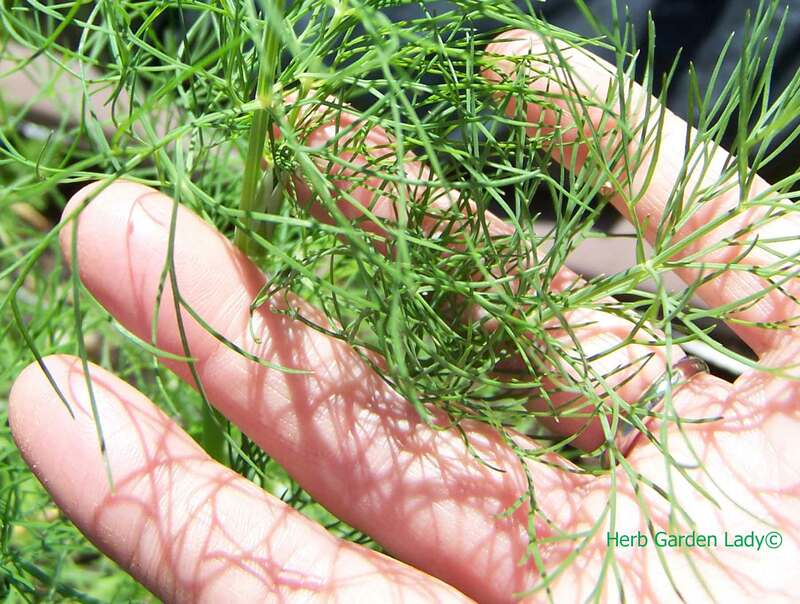 Florence fennel – Foeniculum vulgare dulce, Dare to cook with fennel, not only for its seeds for cooking or fresh leaves as a garnish – grill it – for grilled fennel. French tarragon – Artemisia dracunculus, Use to make tarragon vinegar and added to egg dishes for a distinctive flavor. First, draw up a plan once you’ve become familiar with the site or the area you want to plant your herb garden. Second, create a basic template. Copy it a couple of times. Draw other different herb garden designs. Then, consider the visual aspects of your design…color, function, wet/dry soil conditions, getting water to the site, near a tool shed, and other necessities. Lastly, you want to research what plant will go well in what area of your site plan. This is where drainage, soil requirements, sunlight, wind protection all play a part in getting your plants off to a great start. You don’t want to plant it in an area they don’t like. Because when they start to wilt, turn light green, brown spots or rust you'll need to move it...or let it perish. Sadly, it’s happened to me. 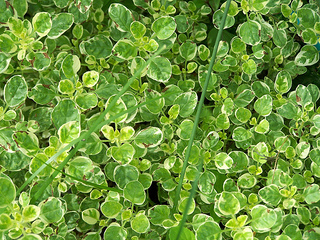 Marjoram or Oregano – Origanum species, For extra flavor that’s mild add marjoram and for extra tang add oregano. Mint – Mentha species, Use this herb for a refreshing mint herbal tea or add to sauces, vinegars, syrups, chocolate, and more. Parsley – Petroselinum crispum, A true essential herb to any culinary herb garden. To retain its vitamin C add at the end of your cooking dish. Rosemary – Rosmarinus officinalis, Another, edible flower and leaf used in many cooking dishes. 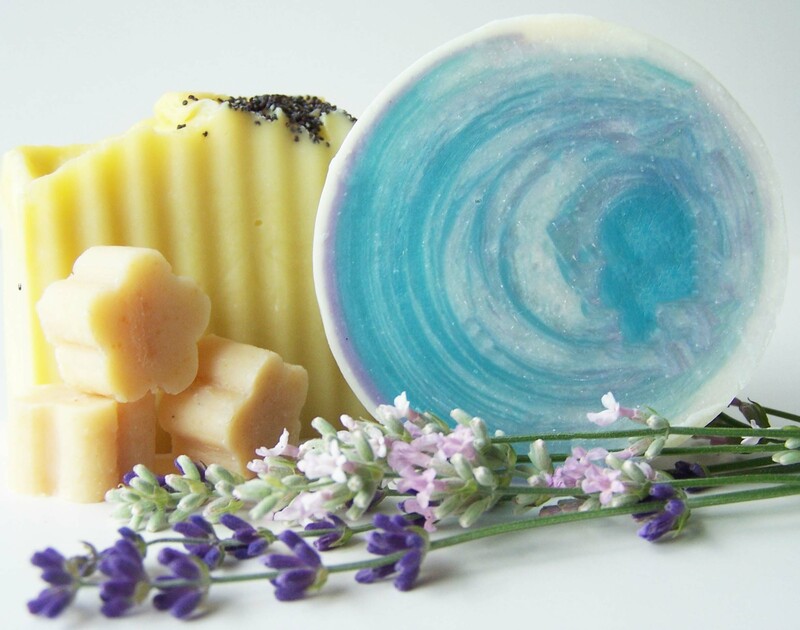 Sage – Salvia officinalis, This herb has so many herb uses and a little goes a long ways. Sorrel – Rumex acetosa, A beautiful herb plant with lush leaves and red-green flowers. and...Thyme – Thymus species, Add to any dish for extra flavor, but for digestion as well. For more great ideas and herb uses or edible flowers to eat and enjoy.